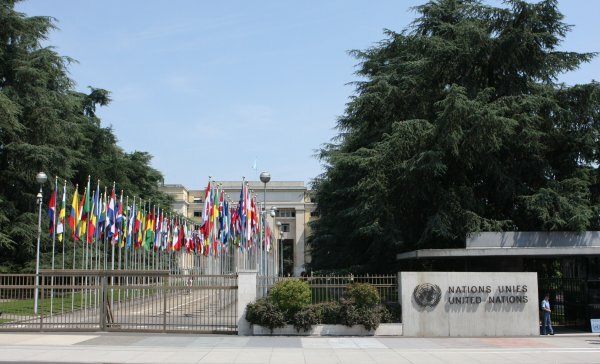 The University of Oxford, the Unrepresented Nations and Peoples Organization (UNPO) and Tibet Justice Centre (TJC), with the support of the Economic & Social Research Council (ESCR), are launching a Training Programme, “Training diplomats from Unrepresented Nations: capacity building for effective UN lobbying”, which will run through 2015 and 2016. This project aims on one hand to make diplomats and UN officials more aware of the challenges that unrepresented nations face in having access to the UN and other International organizations; on the other hand, to build the capacity for unrepresented diplomats to present their cases effectively in these international fora. The programme is funded by the University’s ESRC Impact Acceleration Account. Although the diplomatic world is in constant change, conventional fora of negotiations, among which the UN, remain highly important, especially to exert multilateral pressure on States that violate their human rights obligations. However, ‘bullying tactics’ by some States manage to silence and exclude minorities who have grievances against them from having access to UN buildings or at least from telling their stories. This 18-month programme of knowledge exchange will facilitate the communication and coordination among the representatives of some of these unrepresented communities and will provide a platform where their experiences and skills are to be reciprocally exchanged. The project also hopes to give strength by building a network and uniting all key stakeholders and experienced diplomats from these excluded communities. By sharing their experiences and learning from each other, the participants in the programme will add concrete elements to the issues that will be outlined by various experts and moderators. The programme activities will start with a survey for diplomats from unrepresented nations, in which they will be asked to share their past experiences in lobbying at the UN and elsewhere and the difficulties they had to face. Then, the programme foresees the organization of various workshops and seminars which will take place in Geneva, Oxford and Brussels. The final activity will be a side-event to the UN Forum on Minority Issues, to be organised in Geneva in November 2016. Initially co-ordinated by Prof Fiona McConnell (University of Oxford), the programme is run in cooperation with UNPO and TJC. A collective organisation of lawyers and academics, TJC is advocating the Tibetan people’s human rights and right to self-determination. Please find attached the official flyer of the training programme. The programme has its own website. To receive more information about the training programme and the possibility to participate, contact Mr Tommaso Nodari, UNPO Program Coordinator at t.nodari@unpo.org.